You are currently browsing the archives for the DOJ category. First, today isn’t President Trump’s birthday. June 14th is. The reason I’ve titled this post is because Michael Horowitz has announced that he’s releasing the much-anticipated DOJ Inspector General’s report on President Trump’s birthday. Good luck with that, Andy. The inspector general’s review uncovered the anti-Trump texts from FBI official Peter Strzok, who famously called Trump an ‘idiot’ and texted about an ‘insurance policy’ against a Trump presidency. Strzok had been assigned to Robert Mueller’s special counsel probe, but has since been reassigned. I suspect that Mr. Horowitz’s investigative findings will lead to several people in the DOJ and FBI wearing prison uniforms. CNN’s article about President Trump starts off by reading like a fashion critique rather than like a serious news article. The message from that paragraph seems to be ‘how dare he use Twitter to express his opinion’. That’s kind of disappointing considering the fact that the investigation President Trump ordered was about determining whether the Obama Justice Department or the Obama FBI sought to infiltrate the Republicans’ presidential campaign for strictly partisan reasons. At a time when people get their news from social media, why wouldn’t President Trump use Twitter to put pressure on the Deep State? Why wouldn’t President Trump use Twitter to put John Brennan, Jim Comey and Jim Clapper on notice that they’d better hire a good lawyer? In modern times, though, most presidents have taken a hands-off approach with respect to specific criminal investigations in a deliberate effort to keep them out of partisan politics and to preserve public respect for the integrity of federal law enforcement authorities. Part of the DOJ and the FBI ‘s job is after all the conduct of counterintelligence investigations and, if warranted by the evidence, the warning of presidential candidates that the Russians might try to infiltrate their campaigns to influence the American election. One would think that Trump would be grateful rather than suspicious about the warning. Apparently, CNN didn’t notice that the DOJ and FBI didn’t warn the campaign. Rather, when then-President-Elect Trump insisted that his campaign had been surveilled, people openly ridiculed him, saying that couldn’t happen in America. Now they’re peddling this infiltration of the Trump campaign like it’s a public service? Seriously? In the end, Trump’s attempt to embarrass his own Department of Justice and FBI is likely to wound only his own presidency. If Inspector General Horowitz makes the highly unlikely finding that the DOJ and the FBI acted criminally in their conduct of a counterintelligence operation related to the Trump campaign, a criminal referral will be necessary. I’m almost to the end of the article and the ‘reporter’ still hasn’t told us what the investigation is about. I’ve heard about burying the lede but this is ridiculous. The lede should be that Obama DOJ or FBI political appointees might have tried interfering in a presidential election. While the article hints at that, it certainly doesn’t lead with that. Sunday’s Twitter order to commence a new investigation to smear the Obama administration is likely to backfire and extend the Mueller investigation. It may also cause Mueller to look at an interesting new idea — was the presidential order to commence such a frivolous investigation itself really an attempt to block the progress of the Mueller investigation and obstruct justice? Unlike this CNN ‘article’, Kim Strassel’s articles have been the work product of a professional journalist. 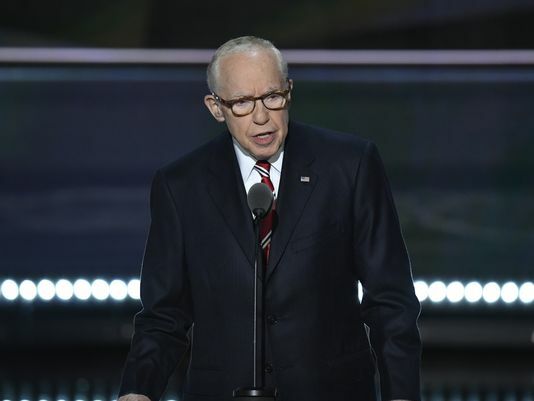 Judge Mukasey’s op-ed helped open the floodgates questioning the Mueller investigation. Mark Penn’s op-ed is actually more damning because Penn is a Democrat. Penn’s op-ed connects lots of dots that Mueller, Comey and Rosenstein don’t want connected. This isn’t the outcome they were hoping for. They were hoping to take down a president they thought wasn’t qualified. Instead, Mueller, Lynch, Rosenstein and Comey have ruined their reputations and their legacies. Straight shooters like Judge Mukasey and Mark Penn are asking all the right questions and making the right observations while putting this puzzle together. Contributing to the Clinton Foundation isn’t illegal by itself. It’s just convenient for this contributor to point the finger at Mr. Papadopoulos. With the Clintons, it isn’t wise to think that coincidences are truly coincidental. More often than not, these ‘coincidences’ are manufactured with precise intent. I’ll put this simply. It’s time to wrap this fishing expedition up. It’s been spinning its wheels for over a year.